How To Make Our Maori Magic Sangria! On our Connoisseur's Cruise, Sea Days are for more than just taking in the beautiful scenery and sailing from one place to the next. We gather together for some interactive and educational fun! 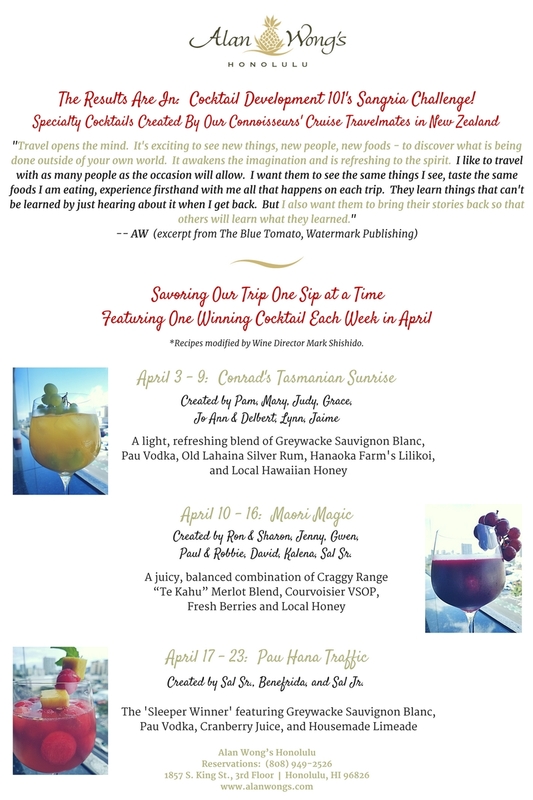 Wine Director Mark Shishido's Cocktail Development session for this cruise focused on the How To's of the Sangria. Food and Wine Magazine defines a Sangria as a "delicious cocktail [that] combines the best of summer by infusing wine, summer fruits and soda water. Not only is it one of the most refreshing ways to cool off during the warm summer months, this festive wine 'punch' is simple to make and is sure to light up any holiday party. Traditionally made from red wines, recipes have evolved to include white, Riesling and rosé wines as well." We always like to bring our experiences abroad back to the restaurant so our guests can get a taste of our inspiration. These sangrias were created by our travel mates, and Mark adapted them slightly for service in the restaurant. Since we are in the peak of Spring, we wanted to share the recipes with you to try at home. But if you're in the mood for a night out with friends, be sure to stop in to see us! 1. Add all of the liquid ingredients into a large bowl or container. 2. Add in the fruit to macerate. Cover with an air tight lid or plastic wrap and refrigerate overnight. 3. Strain out all of the fruit and pour the liquid into a pitcher. 4. 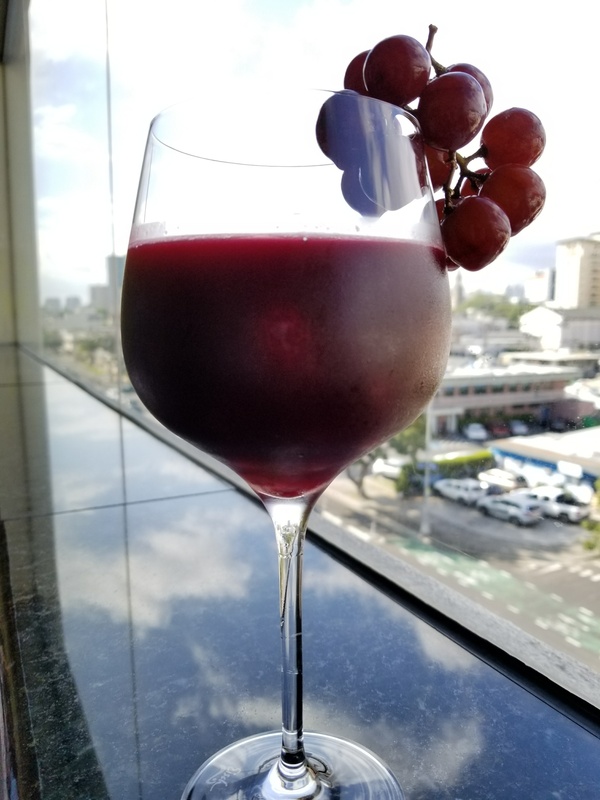 Fill a glass with loose red grapes and ice. 5. Pour 6 oz. of Sangria mix and 2 oz. of club soda over the ice. 6. Stir lightly with a bar spoon. 7. Garnish with a small bunch of red grapes and serve.